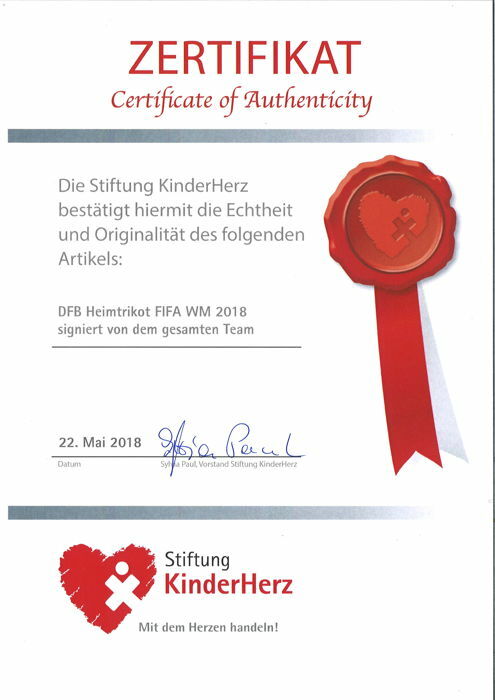 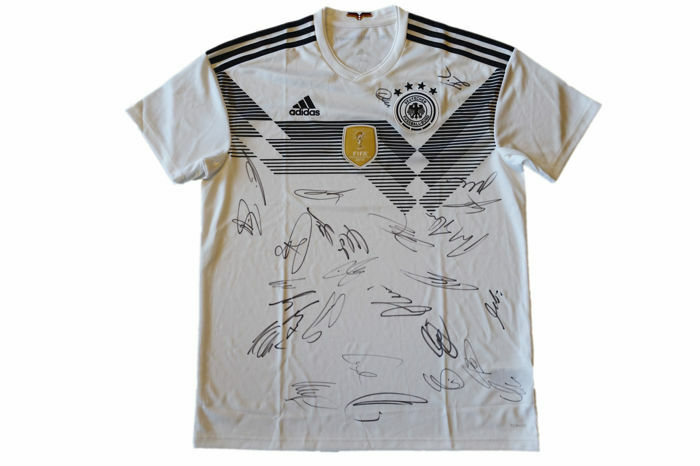 DFB Germany Home Jersey FIFA World Cup 2018 * signed by our national-11 *. 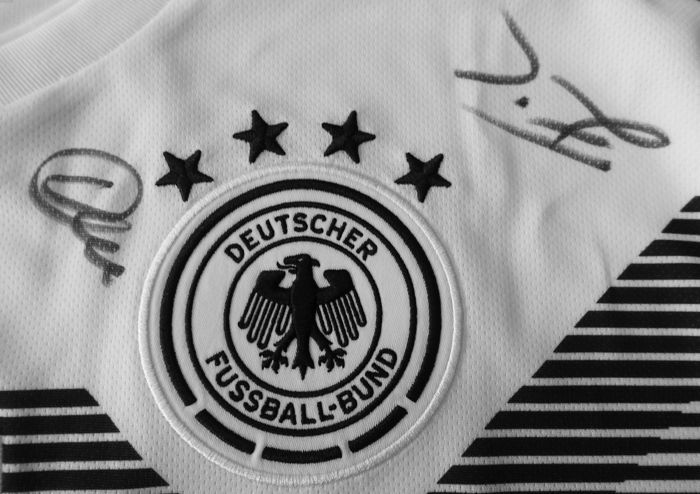 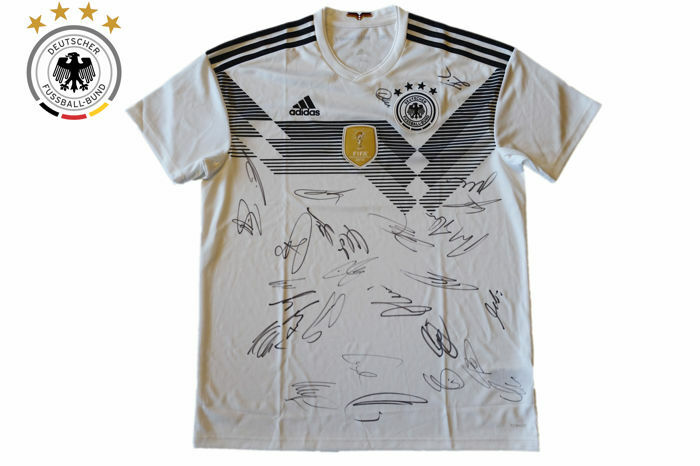 Imagine it is the World Cup and you’re wearing the current DFB jersey with the autographs of your heroes! 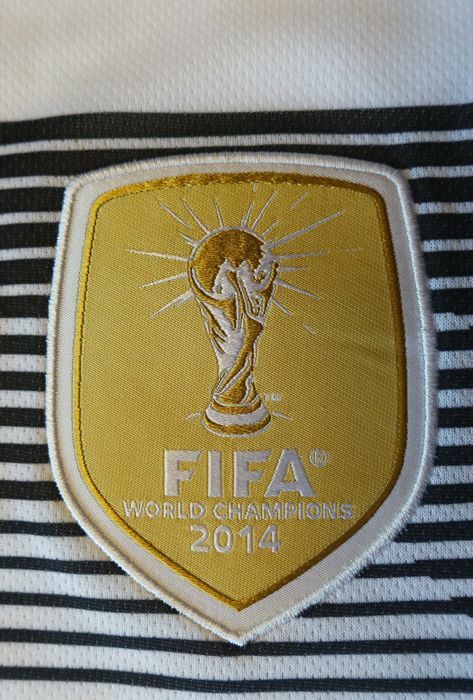 You can watch the games in front of the TV and wear this unique piece.